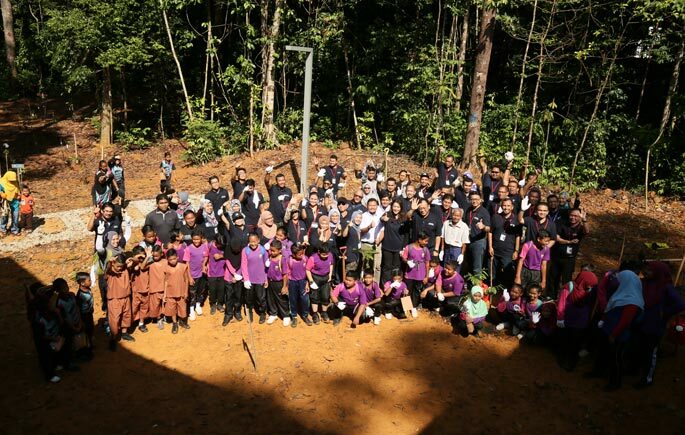 BANGI, 20 October 2018 – For the first time Celcom Axiata Berhad contributes Sri Gumum Cyber Cube at Tasik Chini Research Centre (PPTC), Universiti Kebangsaan Malaysia (UKM) who will be used by the Orang Asli community on Chini Lake. 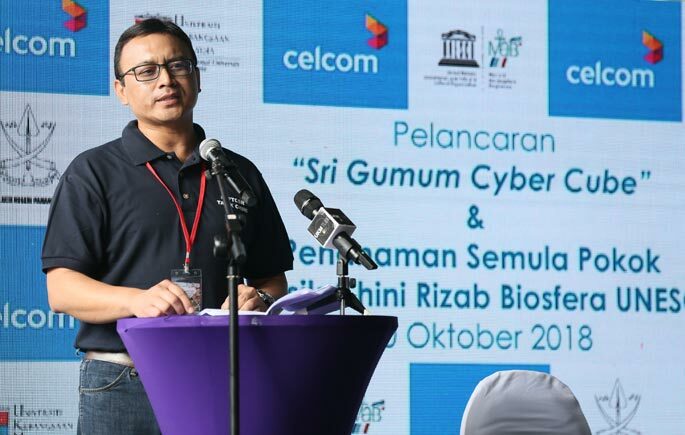 Deputy Minister of Ministry of Communication and Multimedia, Eddin Syazlee Shith said, the effort that UKM and Celcom to develop the communication infrastructure and the internet network to extend the coverage to people who stay in rural area are greatly appreciated. He said the collaboration between both parties (UKM and Celcom) can be an example for education and industrial networking in implementing community welfare agenda. “I’m so proud because this collaboration gives results in the economic sustainability of the local community without disposing of environmental conservation elements. “This effort should be extended and will receive more private participation in supporting the government’s efforts to continue to drive the nation towards economic prosperity and equity, he said in his speech while Launched Sri Gumum Cyber Cube and Replanting the Trees at the PPTC, recently. Eddin Syazlee said, the economic prosperity of the people still needs to be continued by the government, which includes the rural population, such as the development of digital economy which is being undertaken by the government. He said, four important things in the effort of leveraging the digital economy need to be achieved, such as creating a more dynamic digital ecosystem with increasing competition and reaching universal, fast and lowest internet connections. Besides that, to increase human capital through continuous curriculum and learning opportunities and guarantee future digital tax revenues. Meanwhile, Deputy Vice Chancellor Research and Innovation, Prof Dr Mohd Ekhwan Toriman said, this programme is an idea from the strategic networking between UKM and Celcom as a community services programme for both organisations in an Orang Asli community in Tasik Chini. He said, the appreciation is given to Celcom for providing comprehensive and reliable 4G access facilities in the Chini Lake area in digitizing the area. 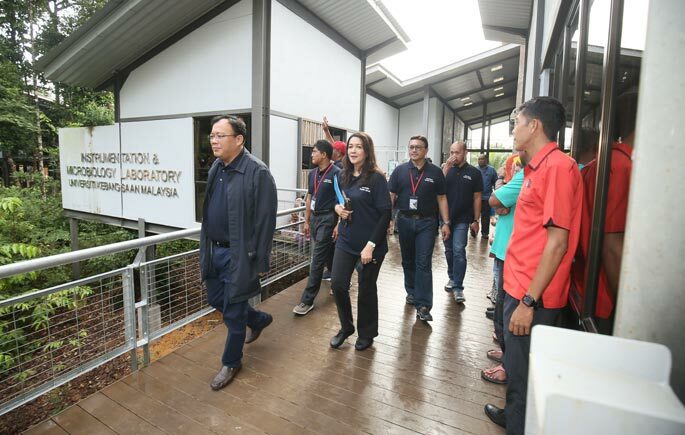 This 4G access facility has helped UKM researchers in particular on water quality monitoring at seven stations in the vicinity of Lake Chini, he said. 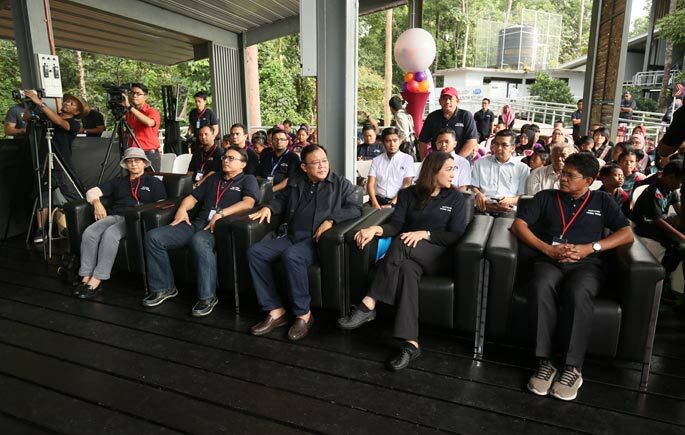 “This built-up facility will empower the Orang Asli community to develop their products in the digital supermarket besides providing training centres for online entrepreneurs. “This centre will also provide e-tuition in the field of STEM (Science, Technology, Engineering and Mathematics), fardhu Ain virtual class, as well as a centre of Training of Trainers among Orang Asli communities and online education by researchers at Hospital Canselor Tuanku Muhriz UKM.” he explained. Prof Dr Mohd. Ekhwan also added that such a program was also an endorsement of Malaysia’s support in maintaining the status of the UNESCO Biosphere Reserve before the assessment of 2020. At the same ceremony, also held the Ceremony of Memorandum of Agreement (MoA), signed between UKM and Celcom. Besides that, Celcom also launches the Pribumi Mall, a portal of online shopping to market the Orang Asli products besides replanting 1,000 trees in PPTC UKM Reserve UNESCO Biosphere Reserve.